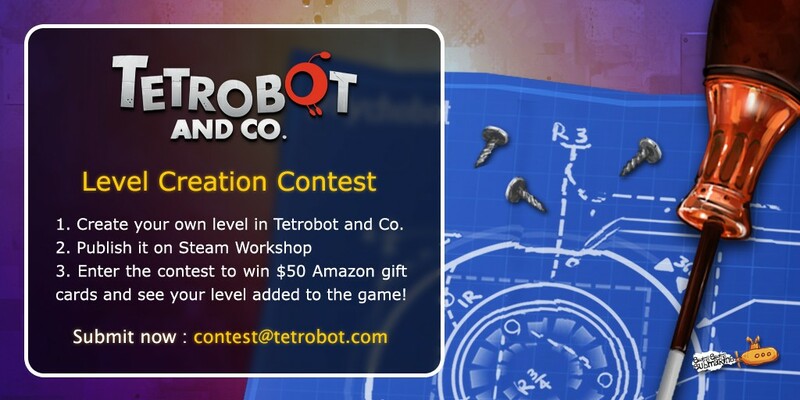 From March 23 to April 21, we are hosting a special Level Creation contest on Steam: the community can create custom levels for Tetrobot and Co. using Steam Workshop. Selected outstanding levels will appear in an update to the game. The winners will also receive $50 Amazon gift cards. Feel free to read the guides we’ve shared on the Steam Community section to learn more about Tetrobot and Co.’s level editor. How to enter the contest? 1. Create your own level in Tetrobot and Co. The list of winners will be posted on our Twitter and Facebook accounts. Winners will also be contacted by email. Have fun! We can’t wait to play your levels! [Update – 18/08/2015] We played all 32 levels you submitted and…we have winners! Congratulations to daftdef, SuperLuigiBros, Callidus, TheGlecter and FRiZMOUT. You should already have received your gift cards by email. Your 5 levels will be added to the game in a future update. We are now working (very hard) on our next game Seasons after Fall, so the date for this update is not yet defined. From today, and during two weeks, Tetrobot and Co. is exclusively available through the Humble ‘PC & Android’ Bundle 12, alongside great games such as VVVVVV, Titan Attacks, The Inner World, Costume Quest, Ironclad Tactics, Shadowrun Returns and more… But don’t worry, Apple aficionados and Google fans, it will then be quickly available on the Appstore and Play Store, few days after this event. Hey, wait a minute: that’s not what we had planned! Tetrobot and Co. for mobile and tablets should have been released in Spring. It’s too early! 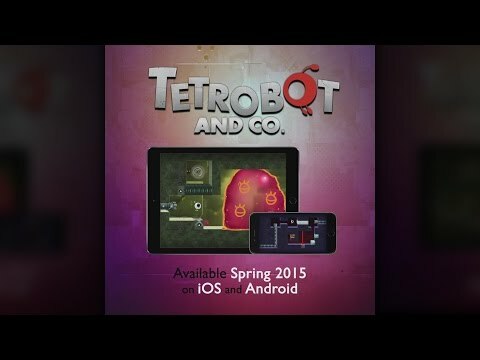 Tetrobot and Co. iOS and Android, available this Spring! We promised you these versions since a while. Here comes Tetrobot and Co. for iOS and Android devices! Now adapted and tuned for mobile devices, Tetrobot and Co. features everything that made the original PC version a must-play for puzzle lovers, plus a brand new touch interface and controls that work perfectly. We have slightly tuned some levels to ease the path into the game for first time players. The differences are small, so don’t worry: it’s still a challenge to finish it with 100%. The approach we’re taking with the game incorporates one important design goal: no in-app purchases of any kind. Tetrobot and Co. on mobile and tablets will cost $2.99, that’s all. From March 23 to April 21, we will also host a special contest on Steam: the community will be able to create custom levels for Tetrobot and Co. using Steam Workshop. Selected outstanding levels will appear in an update to the game, and the winners will also receive special gifts. But we’ll talk about that later. 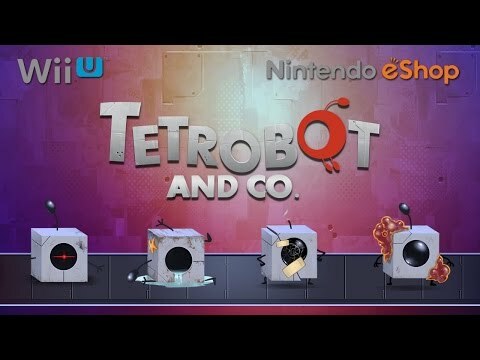 Tetrobot and Co. available on Wii U! We released Tetrobot and Co. a year ago for Windows, Mac and Linux (Steam, Humble Store, GOG, Itch.io…). And now thanks to Neko Entertainment, you’ll be able to play Tetrobot and Co. on Wii U very very soon. It will be available on Nintendo eShop for Europe and North America on October 30th, 2014. What’s nice about this Wii U version is that you can choose how you want to play the game: pointing at your TV screen with a Wii Remote, pushing buttons on a Wii U Pro Controller or playing with touch controls on a Wii U Gamepad. You can even activate the Off-TV Play mode! Tetrobot and Co. is still a pure puzzle game, created for players looking to give their mind a workout. You guide a microscopic robot named Psychobot through Tetrobot’s cogs and circuits. Psychobot, by swallowing blocks of matter and spitting them out, can repair anything. The workings of various pipes, lasers, fans and other electronic devices, plus how to alter the chemical properties of slime, must be learned in order to repair Tetrobot and collect all the memory blocks that can be found on the way. Due to its accessible nature Tetrobot and Co. is a game for all to play. But you’ll need to keep your mind sharp if you want to complete its most advanced puzzles. 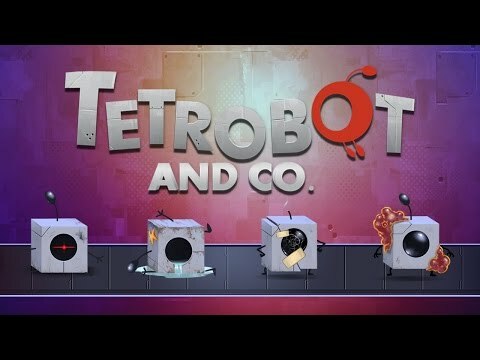 If you like playing great games like Pushmo World and Teslagrad, you’ll probably love Tetrobot and Co..
PS: we are still working on the iOS/Android versions, and we still hope to release them by the end of the year.